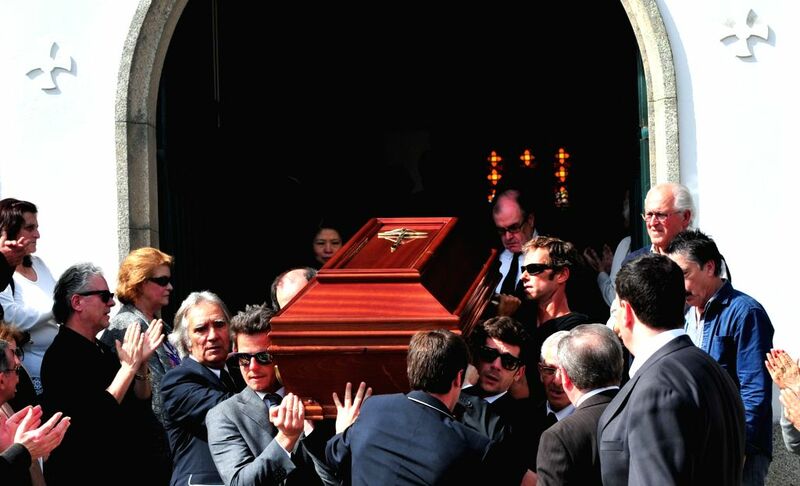 PORTO, April 4, 2015 - Pallbearers carry the coffin of Portuguese filmmaker Manoel de Oliveira during a funeral in Porto, Portugal, on April 3, 2015. Portuguese filmmaker Manoel de Oliveira died on Thursday aged 106. The filmmaker made over 50 films in his career which began in 1931.